Polygraph Investigative Services provides highly reliable (accuracy of 98% - 100%), independent and strictly confidential polygraph testing aka lie detector testing services to Commercial, Private and Government clients all over Asia Pacific and Western countries. 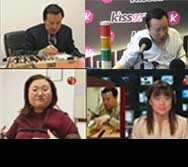 We conduct these lie detector tests in our office in Singapore or in countries where our clients are based, including China, Hong Kong, Macau, Indonesia, Thailand, Taiwan, Malaysia, Myanmar, South Korea, Brunei, India, Middle East - United Arab Emirates, Qatar, Saudi Arabia, Bahrain, Australia, New Zealand, etc. We also received clients from Switzerland, Canada, USA, Finland and Europe. We conduct tests in English, Mandarin and Malay. Other languages are done through interpreters. Corruption is everywhere, in rich countries, in poor countries, in all types of organisations and levels of society. The bunkering industry (topping up of marine fuel oil) is just one example of an organisation vulnerable to corruption that we have handled. Other types of corruption cases we have handled include government organisations, sports organisations, manufacturing industries and many more. In late 2001, bunker surveyors from more than a dozen Singapore companies were convicted of corruption. The bunker surveyors were bribed to overstate the quantity and / or quality of fuel supplied to vessels by employees of fuel suppliers. 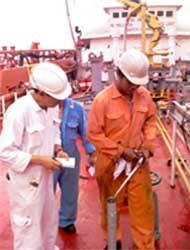 Since then, Polygraph Investigative Services have been retained by Maritime and Port Authority of Singapore (MPA) accredited bunker survey companies, ship owners and charterers to conduct independent polygraph tests on surveyors, cargo officers etc whenever there are significant disputes over the figures or where corruption is suspected. Sometimes, the quantity of bunkers stolen can exceed 100 Metric Tonnes. thus resulting in considerable cost to the ship owner or charterer paying for the fuel. This conspiracy can involve the ship crew, surveyors and suppliers or a combination of these parties. 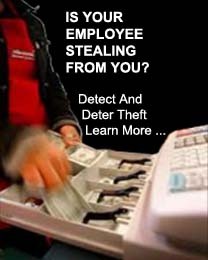 To detect and/or deter such attempts, more and more companies have engaged our polygraph testing services, including clients from Singapore, Malaysia, Switzerland and the Middle East.